I was squirming in my seat when I watched the arm scene. James Franco was so great in that scene when he interviewed himself. Couldn't agree more. Simplicity is such an important part of fiction. And at the heart of things like 127, we see how complex simplicity can become if it is treated correctly. Enjoyable read, Kid. At the moment this is my undisputed #1 film of the year. I do think it's a movie that benefits greatly from a theatrical viewing (though the one I attended was full of right idiots). Wow...for a few weeks now I was beginning to think i was nuts with calling this film the best of the year. like somehow I'd projected something into it that wasn't there. But reading this tells me that I wasn't totally nuts...and that the emotional connection I felt for the film was real. Basically, I just want to thank you. You've essentially become the person standing next to me when I see something completely extraordinary happening. That person who I can ask "You're seeing this too...right?" Glad you loved it!! This is #2 in my top 10 movies of the year. I think too much is being made of "the scene". In reality, it took him 4 hours to cut off his arm, and the scene in the movie is what? 7 or 8 minutes? Yes, it's graphic and painful-looking but it's never exploited. 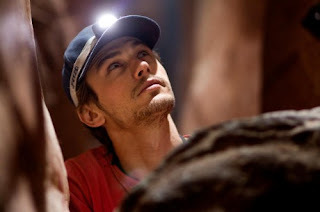 Absolutely brilliant movie. I couldn't even get my hands down from my face during the arm scene because I could really feel it. This movie is so simple yet so very moving. I'm glad I watched it...and The King's Speech too! I think it's an amazing movie - surely it teaches a lesson that you need to let someone know where you are going....always! I totally agree. 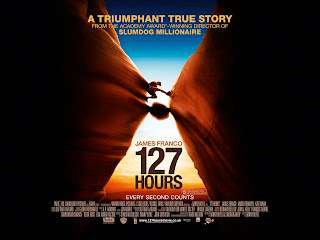 127 Hours really blew me away and was so well done in every way. Saw it at the West End Vue last night. 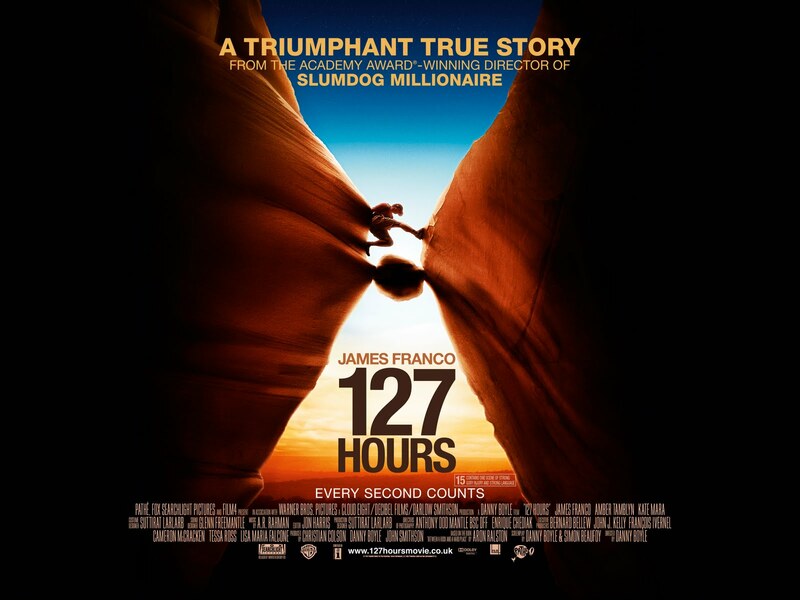 An incredibly involving movie. As I drifted towards sleep last night I was gripped by this terrible fear that I'd sleepwalk to the kitchen, grab a butterknife, and ... seriously, that scene is going to haunt me for days.